If your 9-12 Advanced Orchestra student has not picked up their concert wear order, or if items do not fit and need to be exchanged, you will need to come for a fitting so that we can re-order and distribute in time for our first concert. If you have questions, or absolutely cannot make this date, please contact Lori@lesilverman.com or gayle@wilkinsonmed.com for an alternative arrangement. Ahhhh… Fall! This season really gets me thinking of the school year starting. Cool days, crisp nights, football games, and sweaters! I hope everyone will enjoy these beautiful days! I would like to thank Lori Silverman and Gayle Wilkinson for stepping up and taking care of the ordering and distribution of the orchestra concert wear. This is a big undertaking and I would like to thank both these ladies for being willing to take on this responsibility. Our Orchestra looks great, thanks to you! Of course, many, many thanks to our Concert wear chair of many years, Cecilia Cheng! We can’t thank you enough for your countless hours of service to the orchestra! 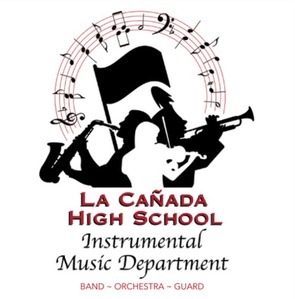 Our Instrumental Program is indebted to our many parent volunteers. We are so grateful to each person for their unselfish giving of time to our program. I am so, so grateful to all the parents who positively contribute to their child’s school life with positive action. You are heroes to me! As soon as possible, please write a check to Mamiko Toda for the price of your tickets and have your student give the check to Lisa Toda in orchestra. The tickets will be passed out in Orchestra on Thursday and Friday of this week. If you are interested in marching in the Rose Parade as part of the Honor Band, online registration and signature confirmation is due by September 25th. Auditions are held Sunday, October 8th, at Pasadena City College. For detailed information, please go to their website. Charlie R. (2017 graduate) marched the past two years, as well as alums Charlotte S., Alyssa M., Josh S., and Brian M.
If your student is using a school instrument this year, please click here to fill out the rental form. We will need the serial number of the instrument, or the name. Have your student ask their director, if you can’t find that information. The rental donation is $100 per semester ($200 for the year). 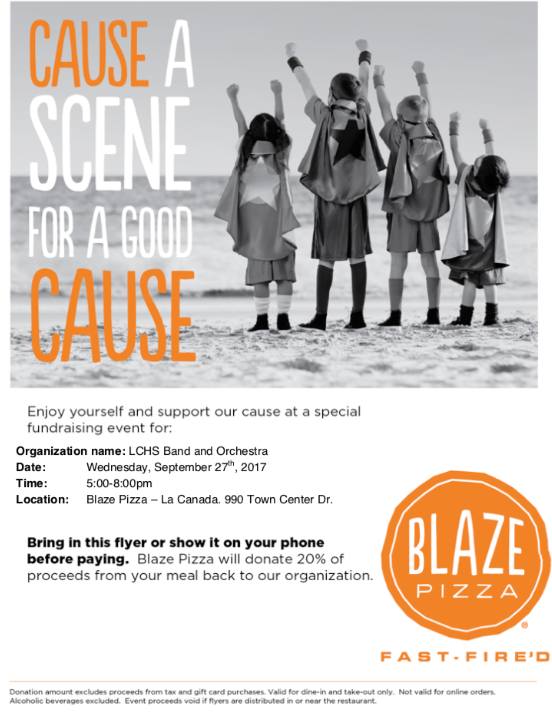 Checks made payable to, “LCHS MPA,” can be placed in the black box in the band room. If you have questions, please contact your director: Ms. Munday, Mr. Stone, or Mr. Myers. While some of our seniors were off “scooting” on Friday, I had different combinations of the orchestra play together. I was really happy to hear how well everyone knew the piece that was played. It’s really wonderful that there is such musical depth in our orchestra. We have great student musicians throughout each section and I appreciate each and every one of them! I would like to remind everyone to sign up for the Ireland trip in March. Because we only go every 4 years, this will be the ONLY opportunity that your student will be able to go on an international trip with the Orchestra and Band. It will be a GREAT trip. We are playing amazing standard string orchestra music in beautiful cathedrals where much of this music was meant to be played. Ireland is a beautiful country with friendly people, and we will get to take trips and experience different parts of the country. PLEASE don’t let missing some school days stop your student from participating. Students will have time to make up missed school work, AND I am planning on personally talking to certain teachers of classes that students are concerned about to set up realistic plans for the music students so that they won’t be stressed out. Remember how fun the Winter Retreat was? This will be a hundred times that experience. Please don’t decide on your own that this trip isn’t for your child, come talk to me and let’s see if we can figure everything out so that your child can have an amazing trip that they will remember forever. Tickets for the concert featuring Joshua Bell and the Los Angeles Chamber Orchestra on Saturday, September 30th, at the Alex Theater in Glendale are still available. The concert begins at 8pm. Please let Cecilia Cheng or Yvonne Lim know if you are interested. Orchestra concert wear has arrived! PICKUP: We have reserved a window for fitting and pick up after school THIS Wednesday, September 20th, 6pm-7pm in the Orchestra Room. PAYMENT: Students MUST bring a check with your student for the amount due noted below. Payment will be needed in order for students to pick up their items. Makes checks payable to, “LCHS MPA,” with, “concert wear,” noted in the check memo. Please bring the check at pickup, or put it in the Black Box in the Band Room. **Note: Concert wear cannot be distributed without payment. NEWLY PURCHASED CONCERT WEAR: If newly purchased clothing does not fit, we will return it for new size at no cost. If a student needs a new size that is not in our inventory, their dry-cleaned items can be donated back to us and we will reorder new items at a 40% discount. Please contact lori@lesilverman.com for costs if you are exchanging a pre-owned item. Pre-Owned Donations: We would like to have an inventory of pre-owned items and would appreciate donations of any gently worn, cleaned concert wear clothing, which are made available to students who may need a new size item mid-year. Order forms are now available. Click here for more information. Volunteers are needed to help with the Poinsettia Sale Committee. Please contact Sarah Nagel. Here’s a video from the L. A. County Fair performance on Wednesday.